The Consolidation Type was a highly successful steam locomotive design of the latter half of the 19th century that would eventually replace the 4-4-0 American Type. The new Consolidation, a 2-8-0 design, allowed for more tractive effort with two additional driving axles and a larger boiler. Because of this the wheel arrangement could haul much heavier trains than the American design. The first 2-8-0 is said to have appeared on the Pennsylvania Railroad around the end of the Civil War. The original designs were not very successful as they were mounted with a rigid front truck assembly instead of one that could freely move to more easily negotiate curves. However, once the issues were worked out Consolidations became most railroads' choice as main line power from the second half o the 19th century through the second decade of the 20th century (a span of roughly 50 years). The history of the Consolidation's origins is interesting; the first prototype actually constructed is said to have been built by the Lehigh & Mahanoy Railroad around 1865, which modified a standard 0-8-0 switcher by adding a front axle to the locomotive. However, a year later it was perfected by Matthias Baldwin's Baldwin Locomotive Works, which improved the 2-8-0 by making the lead truck/axle self-centering via its mount from the driving wheels. This not only greatly improved stability but also since the lead axle freely swiveled it vastly enhanced the locomotive's ability to negotiate curves. The first Consolidation purchased from a manufacturer was built by Baldwin and delivered to the Lehigh Valley in 1866 for use on the road's stiff grades of its Mount Carmel Branch in Pennsylvania. 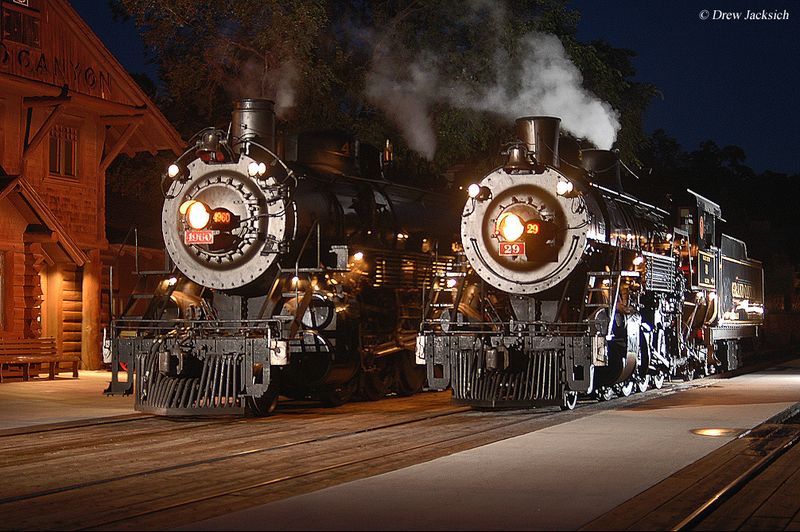 It is said that the 2-8-0 gained its name from Baldwin himself, which wanted to dedicate the design after two recent acquisitions by the LV, the Beaver Meadow, Penn Haven & White Haven and Lehigh & Mahanoy railroads. With these purchases the locomotive was named the Consolidation. While sales for 2-8-0s were initially slow due to early design flaws (like the rigid front truck) after these issues were worked out the locomotive sold quite well beginning in the 1870s. The 2-8-0 design was a significant technological leap from the 4-4-0 as its heavier frame and larger boiler greatly increased tractive effort and horsepower. 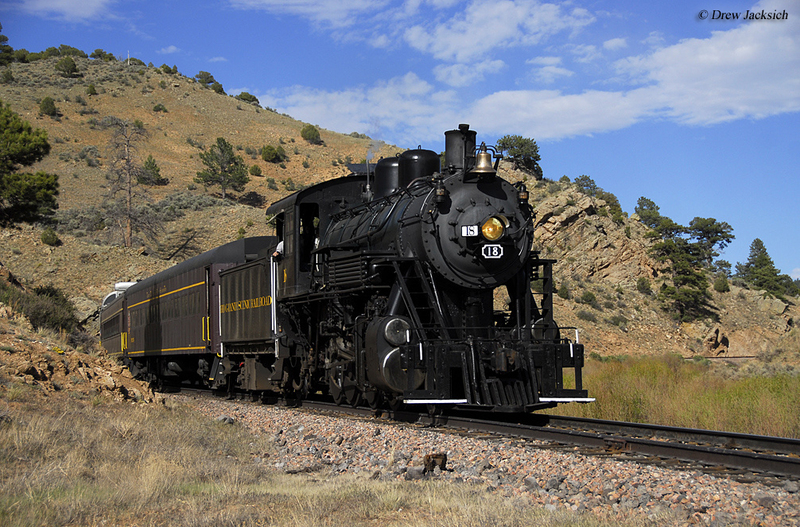 In particular, mountain railroads found the design very useful for both of these reasons. For instance lines such as the Baltimore & Ohio, Pennsylvania, Erie and others began replacing their fleets of 4-4-0s for the more powerful Consolidation (additionally, as it turns out, the 2-8-0s were not as expensive). In the case of the Lehigh Valley, with the success of the initial model it purchased from Baldwin the railroad went on to order fourteen more (the LV went on to roster hundreds of 2-8-0s purchasing its final batch from Alco in 1916, Class M-36 #813-832). The Consolidation, with its two extra driving axles and front pilot truck could not only pull trains that were twice as heavy but also run at speeds fast enough to be used in any type of passenger service. By the 1880s Consolidations had become universally accepted as main line power. 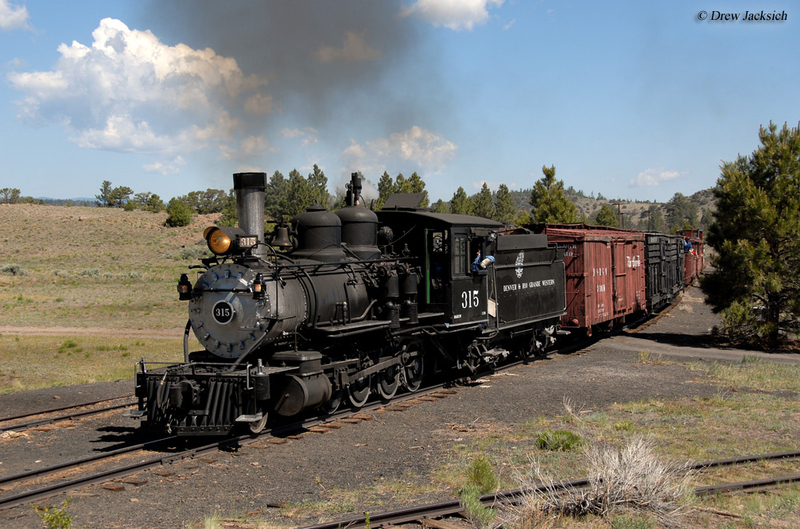 As railroads came to find out, the 2-8-0 was extremely versatile and received, or was built with, upgrades as technologies improved through the end of the 19th century. With the development of the air-brake in 1872 by George Westinghouse tonnage grew as the invention slowly gained acceptance within the industry, and the Safety Appliance Act of 1893 required some such system to be equipped on every car and locomotive. The Consolidation was duly suited to take on the added weight. The design continued to be improved upon through the 1920s until its inherent size simply precluded further enhancements. By that time 2-8-0s featured some highly advanced features such as superheaters, feedwater heaters, piston valves, and outside radial valve gear. While the Consolidation was replaced by larger and more advanced designs such as 2-8-2s, 2-10-0s, 4-8-2s, and others many railroads continued to use theirs in some type of capacity until the end of steam. For instance, the Western Maryland, which owned hundreds of Consolidations found the design very useful to move heavy tonnage over the road's stiff grades in Maryland, Pennsylvania, and West Virginia. The WM's latest examples including Class H-7a, H-7b, H-8, and H-9a could achieve tractive efforts between 60,000 and 74,000 pounds, and where not retired until the mid-1950s. By the time production had ended on the 2-8-0 some 23,000 had been manufactured domestically with another 12,000 built for export. 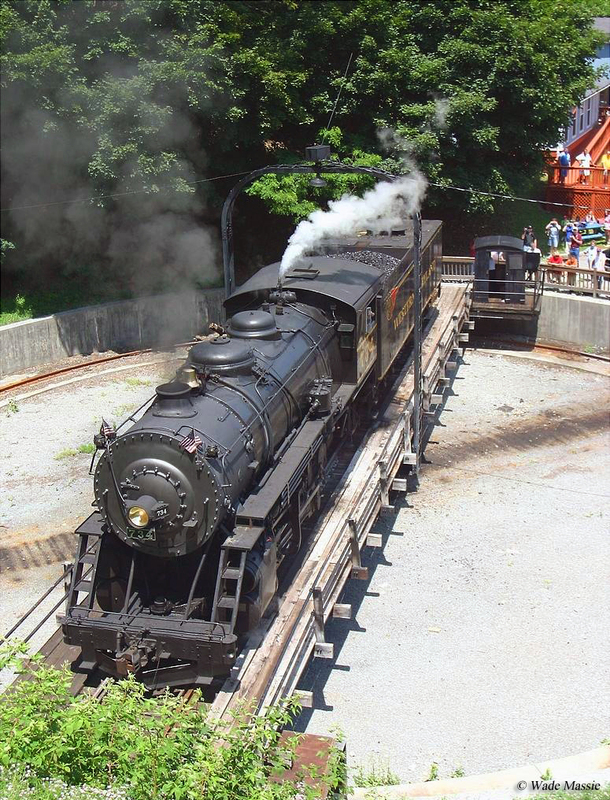 Today, several Consolidations have been preserved across the country including a large number that are still in operation, such as Western Maryland Scenic Railroad’s #734.